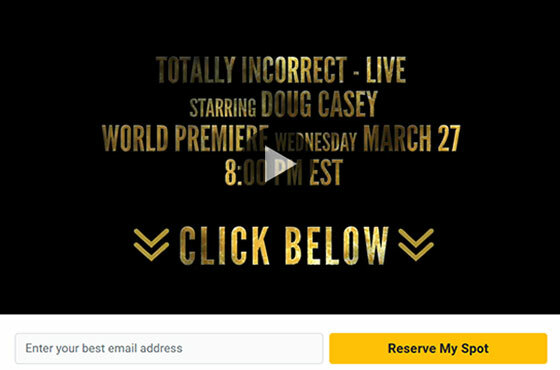 ** See Doug go on the record with five controversial and politically incorrect predictions… these forecasts are too outrageous to reveal here… and you can only see Doug discuss them in the video. This is Trump’s secret plan to cement his legacy and declare total victory. And even $8,181 per month! It is possible to balance a federal government budget. Canada’s debt was so bad in 1996 that the IMF [International Monetary Fund] was threatening to intervene. But six years later, the budget was in surplus, and the government managed to run seven straight surpluses until the Great Recession drove it back into the red. Editor’s Note: As Bill reported on Monday, inflation in Argentina is a fact of life. The most recent data shows prices of everyday goods rising 50% over the last 12 months. That’s a problem for the Argentine people, but it could also become a concern for Americans. To get the full story of how Argentina-style inflation comes to America, we turn to Casey Research’s globetrotting analyst, Nick Giambruno. As someone who has seen runaway inflation in foreign countries firsthand, Nick reveals why the same dangerous trends are taking root at home… and he shows why now is the perfect time for some wealth insurance. As Bill has been telling you, inflation is rampant in Argentina. Prices, on average, are doubling every two years. Imagine if your salary was effectively cut in half every 24 months. That’s the reality for today’s Argentines. Maybe not yet, but the U.S. is following in Argentina’s footsteps. Its shifting demographics all but guarantee it. Millennials are now the largest demographic group in America. And sometime this year, they are expected to surpass Baby Boomers as the nation’s largest living adult generation. Millennials are part of a growing majority of U.S. voters addicted to the heroin of government welfare. 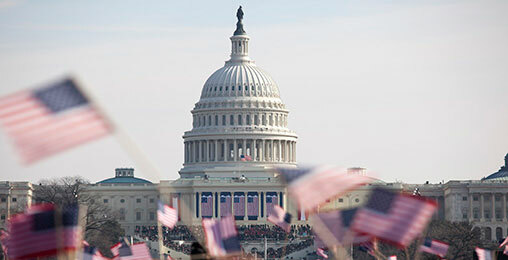 An estimated 47% or so of Americans already receive some form of direct government benefit. However, when you include government employees, along with those in the nominally private sector who feed off the government slops, that figure is actually much higher. When you tally up everyone in the U.S. living off of political dollars, it’s well north of 50% of the population – a solid and growing majority. Today, radical socialist ideas are flourishing in the U.S. Top contenders for the Democratic presidential nomination are all calling for more freebies… free medical care, free college, free housing, free food, and so forth. In other words, more people simply want the State to take care of them. They want a savior, and these politicians are simply answering the call. Bottom line, there’s no political fix to this problem. Gold is the ultimate form of wealth insurance. For thousands of years, it’s preserved wealth through every kind of crisis imaginable. It will preserve wealth during the next crisis, too. This is why gold is the traditional “crisis currency.” Now, with the advent of the digital age and Bitcoin, people have another crisis currency to lean on. That said, Bitcoin is no substitute for physical gold, nor is it a threat to gold’s value. I still think gold is the best way to preserve wealth over the long term. I see Bitcoin as a complimentary tool for advancing your financial freedom and to protect your wealth. I expect gold and Bitcoin to reach not just multiyear highs, but all-time highs as this all plays out, and as socialism comes to America. But, these forecasts are just too controversial to reveal to you right now. 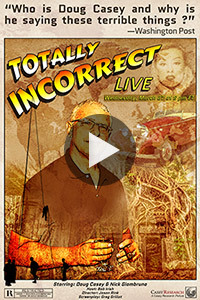 You’ll have to watch the world premiere of what we’re calling Totally Incorrect: LIVE to see for yourself. It airs on Wednesday, March 27, at 8 p.m. ET. And if you sign up now, you’ll get to see some “behind the scenes” footage on how he’s brought in once-in-a-lifetime gains of up to 86,900%. Sign up for this free event now. The passive investing trend is not slowing down. Passively managed funds – funds that automatically track a sector or index – now own roughly half of all U.S. stocks. But as Dan Denning showed you recently, passive investing isn’t investing. It’s mindless buying… a precursor for the next fall. Capitalism didn’t fail. It’s built like that. What has failed is its regulation, because from Teddy Roosevelt in the U.S. and the Trust Barons onwards, it’s been obvious that it needs strong regulation, not the light touch Reagan onwards put in. That is a failure of government and of a brainwashed people who elect such governments believing in that great half truth – the American Dream. Workers need strong, honest unions, the citizenry needs honest representation, and the corporations need effective regulation to keep them on the social straight and narrow. None of these exist in modern America. The raving socialists who demand the stripping of wealth from others out of desire for “fairness” do not understand that they are not poor because some rich person has money that rightfully should be theirs – availability of money and wealth is infinite, and I am not talking about the paper money spewing out of overheated printing presses in Washington. If anyone wants income equality, then be prepared for effort equality. Find a need and fill it or make up a need – like Facebook – and fill that. This is how real wealth happens. That’s a walk in the park compared to Idaho country. You just need cowboys who know how to get a bunch of cows to string out and travel right. And not too many… too many push too hard. We must warn you… If you’re easily offended, this isn’t for you. Click here to reserve your spot now.